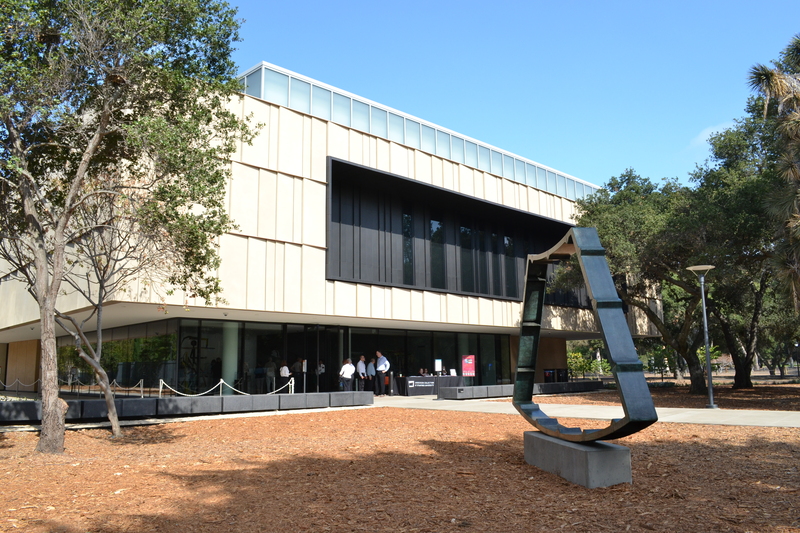 The Anderson Collection opens to the public at its new Stanford University home this Sunday, Sept. 21, in a freestanding pavilion next to the Cantor Arts Center in the University’s growing arts district. Members of the Cantor Arts Center and the Anderson Collection can also attend a special preview of the museum on Sept. 20. Opening day festivities will include food trucks, music, activities and digital tours. Admission is free, and while visitors can reserve timed tickets online at anderson.stanford.edu, walk-up tickets will also be available. Donated by Harry W. Anderson, Mary Margaret Anderson and Mary Patricia Anderson Pence, the Anderson Collection at Stanford University is the core of the Andersons’ private art collection, which features post-World War II American art. The 121-piece collection has artwork from 86 different artists, including Philip Guston, Joan Mitchell, Mark Rothko and Wayne Thiebaud. One of the Collection’s more notable works is Jackson Pollock’s “Lucifer” (1947), an oil and enamel drip painting on canvas. Jason Linetzky, who acted as the manager for the private collection while it was housed at the family’s Bay Area ranch home, will serve as the Anderson Collection’s director. The Collection is located at 314 Lomita Drive, and Richard Olcott of Ennead Architects designed the 33,000-square-foot, $36 million building. Ennead Architects was also responsible for designing the 1998 Cantor Arts Center addition, the law school’s William H. Neukom Building and the Bing Concert Hall. Starting Monday, Sept. 22, the Collection will be open Wednesdays through Mondays, 11 a.m. to 5 p.m., and Thursdays, 11 a.m. to 8 p.m. Although tickets are not required for entry on weekdays, visitors must reserve timed tickets for Saturdays and Sundays. A limited number of walk-up tickets will also be available on weekends. Docent-led tours will be offered to the public starting on Oct. 1, and each tour will be limited to 15 visitors on a first-come, first-served basis. Tours will be held on Wednesdays at 12:30 p.m. and Saturdays and Sundays at 12:30 p.m. and 2:30 p.m., and two simultaneous tours will run at each time. Private and group tours will be offered starting in January 2015. Alice Phillips '15 is Managing Editor of News at The Stanford Daily. Previously, she worked as the paper's Deputy Editor, Chief Copy Editor, a News Desk Editor and a News Staff Writer. Alice is a biology major from Los Angeles, California.